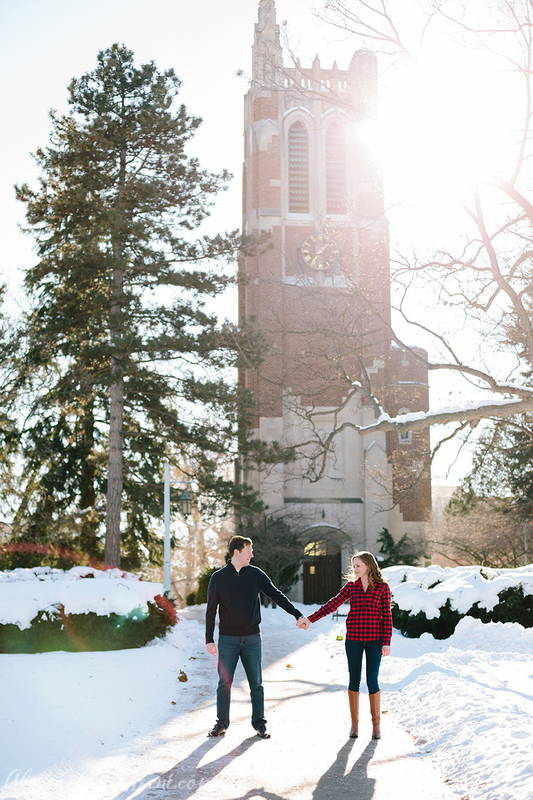 Chelsea + Justin met at Michigan State University so it was only fitting to do their engagement session on the beautiful campus. I have only been on the campus a handful of times, so Chelsea and Justin were kind enough to take me to some pretty awesome places and tell me a little bit about the campus. As you can tell from the photos, it was a cold day. Chelsea + Justin are originally from Michigan but they now live in Texas.... so they were troopers. 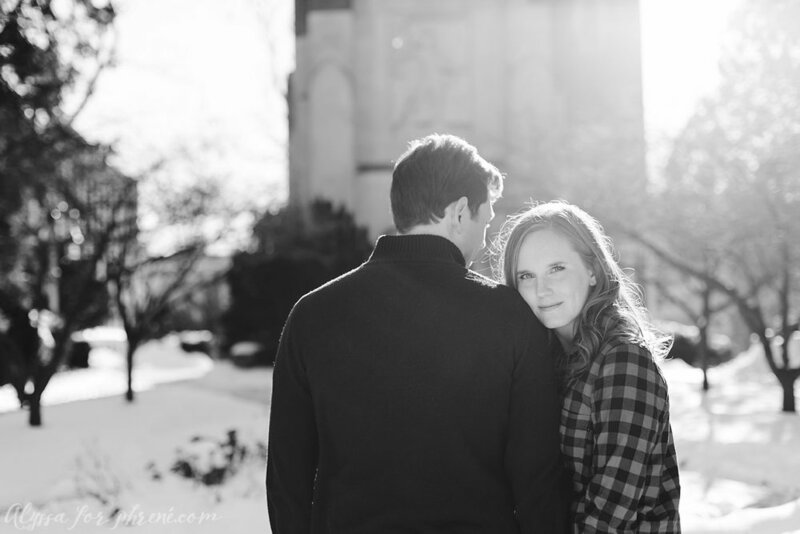 They came from warm Texas into freezing Michigan and even went coatless for many of the pictures and it was totally worth it! Officially counting down the days till these two's upcoming wedding.